An art stations party is unstructured and allows children to spend as long or as little at each art station.Art parties run for 90 minutes. They include: 45 minutes with 3 art stations, followed by 45 minutes of party games, face painting, glitter tattoos or balloon twisting. Art stations are recommended for children aged 2 years and above. 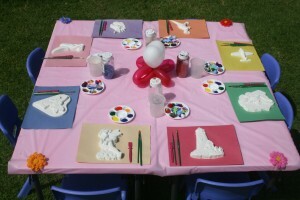 Prices start from $260 for 10 children, extra children cost $20 each.Choose 2 standard art stations – easels, playdough, stamping and roller paint table, mosaic pictures, car ramp, foam table, graffiti wall, fruit and vegetable painting.Choose 1 deluxe art station – paper plate fairies, trinket boxes, crowns, wands, scratch art, pottery painting, clay sculptures, picture frames, masks, puppets, butterfly wings, train picture frames, stained glass pictures, wooden aeroplanes, wooden boat, stained glass butterfly.For a comprehensive list of art activities available for your upcoming art party please request a copy of our art party pack via email info@paintnsparkles.com.au. 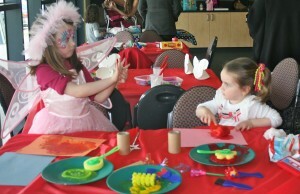 Our themed art parties are very popular and are suitable for children aged 4 years and above. 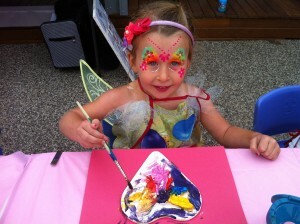 We offer many wonderful art activities to choose from for both boys and girls. We are also happy to plan a party based on your specific party theme or the birthday child’s interests.Themed art parties run for 90 minutes (not including set up). 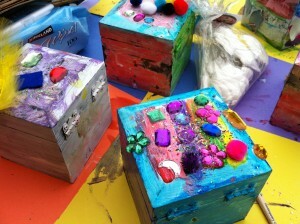 They include: 45 minutes creating two beautiful art activities that are made from wood, papier mache or card. 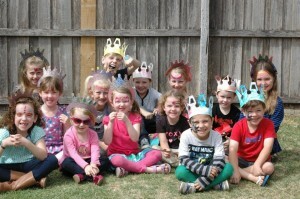 Followed by 45 minutes of themed party games, face painting or balloon twisting. Prices start from $260 for 10 children, extra children cost $20 each.Themes available: fairy, princess, unicorn, butterfly, scrapbooking, in my garden, disco diva, 1 Direction, Angelina Ballerina, Prehistoric, transport and vehicles, lego Ninjago, pirate, superhero and villains, out in space, jungle, sand art, under the sea, and my family.For a comprehensive list of art activities available for your upcoming art party please request a copy of our art party pack via email info@paintnsparkles.com.au. 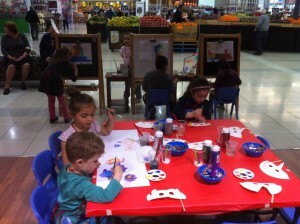 Paint n Sparkles offers art and crafts kits that can be used during face painting, balloon twisting, and glitter tattoos. 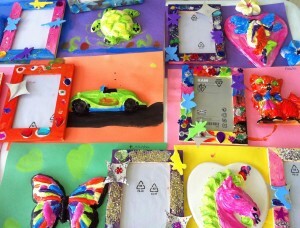 Most art activities displayed in our gallery can be purchased, the most popular being pottery painting and picture frames. Art kits are designed to further entertain the children attending your party and are run by you or another adult attending your party. This activity is not hosted by a Paint n Sparkles host. Kits come with an art piece for every child, table coverings, art smocks, paint brushes, paint pots, paint, glue, collage materials (glitter, sequins, fabric etc) and a bag for children to take their art piece home in.Art kits start from $8 per child depending on the art piece chosen. 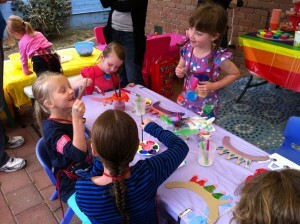 Tables and chairs for 10 children can be hired for use during art activities for $30. 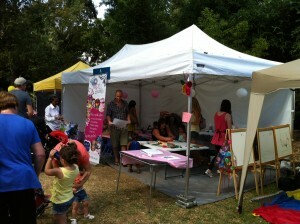 Art and crafts are a great event to entertain children in all corporate and community events. We have hosted activities in shopping centres during school holidays, at festivals, fetes and during corporate open days, family days and Christmas parties. Activities can also be tailored to promote your business.Call or email Sue from Paint n Sparkles to discuss your needs and budget.